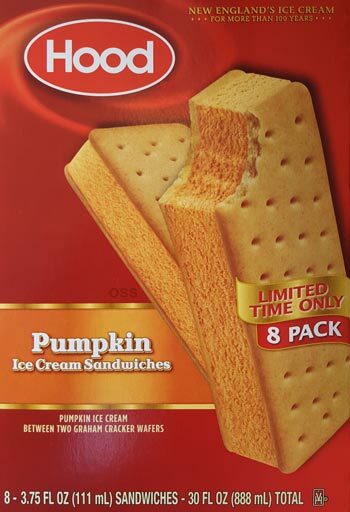 Like I said, I'm kind of burnt out on the Pumpkin Spice nonsense, but then I read the part about the graham wafers, as well as the on sale price of just $2.50 for a box of 8, and well, I gave in. If it's good, I've got 8 afternoon snacks. If it's bad, I share with my coworkers. It's a win win. Ok, yeah, I had another, because, well, that's kind of something I've enjoyed doing my whole life (eating ice cream sandwiches in pairs that is). I still think the wafers are more ginger than graham, but overall a fun treat. Spice balance is restrained and balanced, the filling works with the wafers, and it serves it's purpose just fine. On Second Scoop: And another one bites the dust. Yeah, I like these. I do wish they were a little bit lighter on the ginger, but as I sit here with an aftertaste akin to pumpkin bread, I feel like I probably shouldn't complain. A friend of mine found ginger pumpkin circular sandwiches from Trader Joes and loved them! These look like a flavor I could see Blue Bunny tackling! Yeah, the TJ mini pumpkin ice cream sandwiches are back again this year, I should have picked them up when I saw them... ahh, I'll go back for them soon enough. 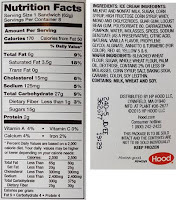 The oatmeal is good but the gum is horrible ! 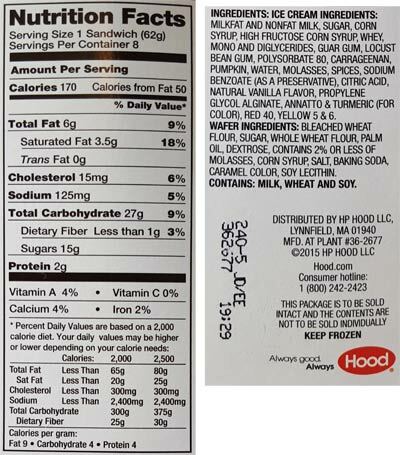 Where do you find the hood ice cream sandwhiches and or pumpkin pie ice cream ? I have had Turkey hill brand and it is delish ! I never came across Hoods though.Nor have I seen Ben & Jerry's either . I do want to know where to locate them .Does anyone know ? Do you live in the northeast? That's where Hood is based and is quite popular here (because so many grew up on it).... wait, you've never seen Ben & Jerry's? Or you've just never seen there Pumpkin Cheesecake flavor which has recently returned.